Whether or not we want to admit it, the majority of us spend much of our lives trying to fit in. We dress a certain way because it helps us fit in with our friends. We speak a certain way because it helps us fit in with a certain crowd. Our behavior can also vary greatly. At home we try to maintain the image of the loving husband and father, around our buddy’s we cultivate the image of the manly man, at work we’re the model employee to the boss, and the fun loving guy whose not afraid to make fun of the boss when the boss is not around. Yet, are we really meant to be a people who fit in? Are we called to be chameleons, constantly fitting into wherever situation we’re in? The truth is, God has called us to be DIFFERENT then anyone else. He has formed us, equipped us, and commanded us to be different, standing out in this world rather than fitting into it. Over the next month we’re going to be looking at the book of 1 Peter. This is a book all about standing out and being different in the world. Peter wrote this letter to churches that were struggling to find their way amidst difficult circumstances. Rome had experienced a great fire that leveled the entire city. The fire had actually been instigated by Emperor Nero, who wanted to rebuild the city in his own image. Needing to blame someone, he decided upon the Christians, who were a new and rapidly growing religious group. He authorized and encouraged an empire wide persecution of Christians. Many Christians were jailed and/or killed, and many churches destroyed. It suddenly became very difficult and dangerous to be a Christian anywhere in the Roman Empire. Many Christians started thinking that perhaps it was just best to temporary fit in with everyone else, and with their lives on the line one could hardly blame them. It was to these persecuted and frightened Christians that Paul was addressing his letter. He says so many amazing things in this letter (which is why I want to look at it over the next month), but I want to leave us with one verse this week. We are not created, gifted, saved, and called to be like everyone else. 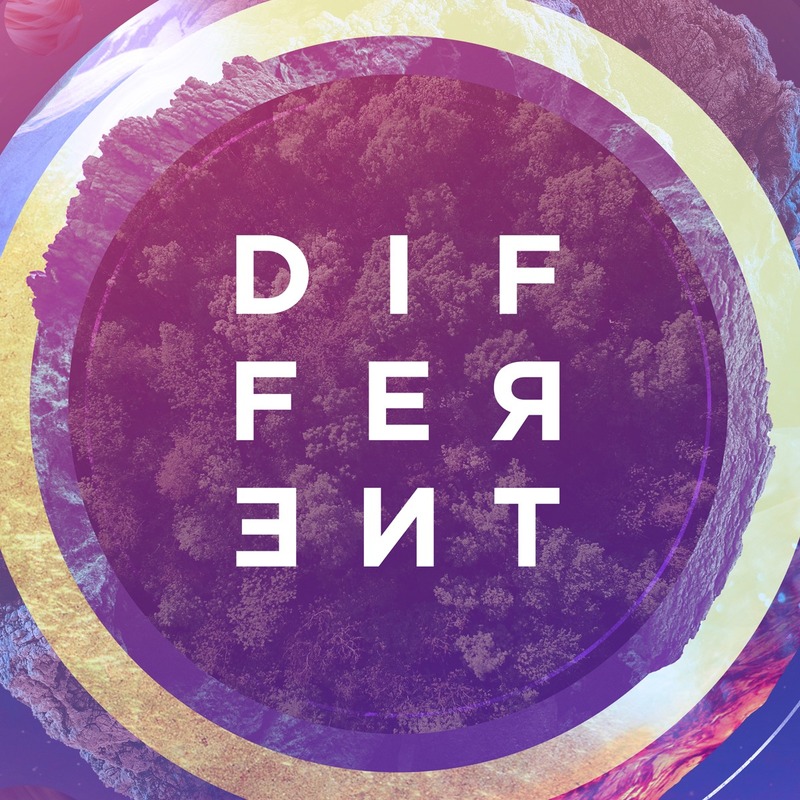 The one who created us, gifted us, saved us, and called us wants us to be different. He wants us to be like Him. He wants us to be like Christ. That’s a big ask, but its an important ask. I pray that we are all willing to step out and trust God to help us explore and live lives that our different. A lot has changed in ministry since the days of Jesus, Peter, and Paul (like the fact I can write in Nicaragua, hit “Publish,” and instantly share it with the world). Here’s one extremely unfortunate constant: the body of Christ continues to fight against itself. The problem has been with the Church since the beginning. The religious leaders did not like what Jesus was teaching, and eventually had him killed for it. Jesus’ own Disciples disagreed with one another, jockeyed for position, and even rebuked Jesus. In the years after the resurrection debates waged over leadership, circumcision, who the gospel should be preached to, worship, etc. When we read the letters of the Apostle Paul we quickly see that he was constantly having to “put out fires” in church after church. And the history of the church does not exactly get better after Bible times! As one of my seminary professors put it, the history of the church can be summed up like this: 2,000 years of humans trying to tear apart what Christ built. Remember the belief we all share: that Jesus died to save us. That uniting belief is much greater then any disagreement we may have. Never speak poorly of others. Correct if you must (with love and respect), but never seek to tear down and cause hurt. Remember that we are to do good works and to be fruitful. Stop getting lost in preferences, and always focus on bearing fruit for God’s Kingdom. Let us strive to strengthen the Body of Christ so that it can truly be a shining light for God on this earth. As Christians we often see service in terms of what programs and ministries we are involved in. We serve when we volunteer in Sunday School, help on a work project, go on a mission trip, etc. Having served on church staffs for over a decade I am guilty of sometimes thinking that as long as people are plugged into service opportunities then they are adequately serving God. But, if we really think about it, God never envisioned service to be so compartmentalized. When he meticulously formed us and commanded us to bear fruit he did not only have in mind those few opportunities arising in our churches. He had the entirety of our lives in mind. Our jobs, our relationships, our family, our hobbies, our shopping, the true entirety of our lives. God made us to serve so many people in so many ways that no church or ministry could ever program enough opportunities for us to serve! Look at that first verse: to be ready for every good work. Paul is not saying to be ready for the sign-up sheet to be passed or for your church to offer you an opportunity. He is saying that you need to be ready and willing to serve whenever and however the opportunity arises. This may happen on the golf course when a friend admits he is struggling with his faith. It happens when we notice our neighbor needs home repairs they are incapable of doing. It happens whenever the moods of everyone around us are low or stressed (any trip to Wal-Mart typically fits this). Anytime our abilities and gifts encounter the needs of others is a chance to do good works. We have chances everyday to serve God and make an impact on others. Are we ready for it? Paul reminds us here of a couple of things. First, there are urgent needs all around us that need to be met with the love of Christ. Second, each and every one of us is commanded to bear fruit in our lives. We bear fruit by meeting the needs we encounter with the love of God. Bearing fruit is not insignificant, because when fruit is born it means that lives are being changed and saved. See, serving God isn’t about filling in your time card, but being used to make a true impact on lives for God’s Kingdom. Now, I’m not here to say that it’s necessarily bad to take risks, be tough, hunt, or like beautiful women (I’m happily married to one). But, I am here to say that the world has an imperfect understanding of what it truly means to be a man. A really great description of Biblical manhood is found in Titus chapter 2. Here Paul gives instructions to all men, older men, and younger men. All Men: Show yourself in all respects to be a model of good works, and in your teaching show integrity, dignity, and sound speech that cannot be condemned, so that an opponent may be put to shame, having nothing evil to say about us. Titus 2:7-8. In other words, Paul is saying that being a man entails living a life that reflects Christ. When people see us with our family, in our community, in our workplace, etc. they need to see a reflection of God. As men we need to reflect God in our works, our teaching, our integrity, our speech, and more. Are you modeling those values for those around you? Are you honoring God with a life that is bearing that type of fruit? Being a man entails setting a Godly example in all areas of our life. Wherever you are and whatever you are doing you are to be living our these values to honor God and positively affect others. Younger Men: If you were to ask me I would say this applies to all men who are still in the process of learning and growing, which is actually all of us. While Younger Men seem to get off lightly here, being given only one command, it is an incredibly big, important, and difficult one: Urge the younger men to be self-controlled. Titus 2:6. Put simply, self-control is the ability to resist the temptation to sin, no matter how great that temptation is. Being a man means that we strive to resist all temptations and desires to sin, no matter the difficulty. I’ve learned that I need to have a compelling reason to do something difficult, or else I’m unlikely to do it very long. I studied Spanish in school, but I really saw little point to it. It was difficult learning those gnarly conjugation rules and scores of vocab, and I found little reason to pour myself into it. For much of my life I didn’t see the point to eating in a healthy fashion. Pizza, bacon cheeseburgers, and Mt. Dew were plenty fine for me. No need for that abhorrable “green stuff” (except the aforementioned Mt. Dew). Yet, today I speak Spanish every day (albeit far from fluently) and I maintain a relatively healthy diet and exercise regiment (having lost well over a hundred pounds). Why was I able to make such big changes? Because I came to understand how important it was to make them. When my church began working with three Spanish speaking churches in Nicaragua I realized I needed to learn Spanish so that I could lead and minister effectively. When my blood pressure spiked and my health was slipping in many ways I understood I needed to change my diet or risk my long-term health. Once I understood the reason and purpose for behaving in a certain way I became much more dedicated to acting in that way. I feel that a major reason many of us fall into perpetual sin in our lives is that we don’t always comprehend why we are supposed to be following God’s ways. Why is it really such a big deal to be nice? Why do I have to forgive that jerk in my office? Why do I have to give of my time and money for others? This past week I was reading through Titus and came upon this verse, which really clarified for me why we NEED to live lives that are pure and righteous. While none of us will ever be sinless, we can all be living a life closer to the purity and righteousness of Jesus. We do this so we do not defile the many good things God has put in our life. We love and respect our wife to maintain the integrity and purity of our marriage. We speak the truth and use our words in a positive way so that our words bear fruit instead of causing chaos. And we do good works in our lives not to earn rewards, prestige, or warm fuzees, but to profess our love for God. We follow God’s commands so that we may bring the maximum amount of honor and love into the world while minimizing the amount of detestable disobedience. Always remember, we are following God’s ways not simply “because,” but so that we may bring honor and glory to Him and His Kingdom.